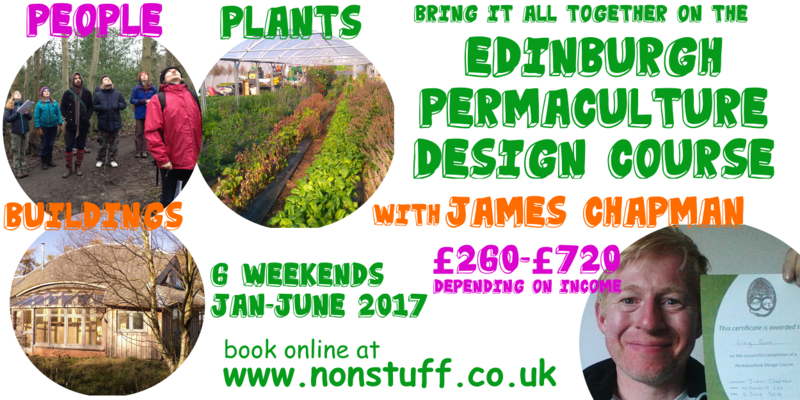 In April 2013 I was asked to create a permaculture design for Comrie Croft. 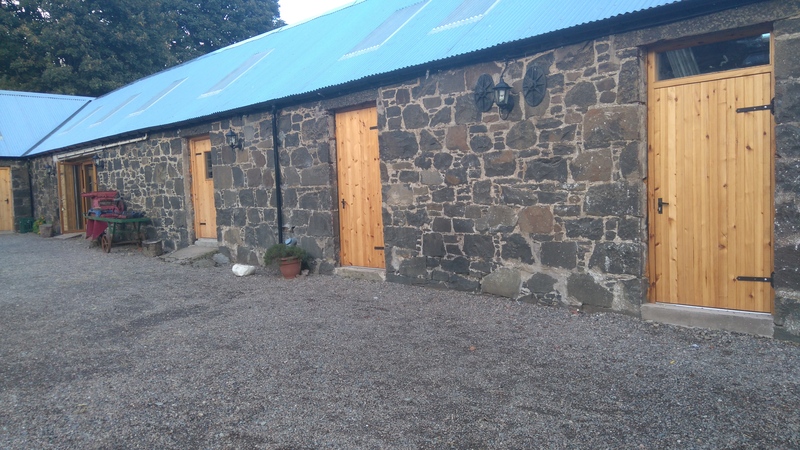 Andrew and the team had been running the bunkhouse and campsite for a few years and wanted to do more with the farm. I was back on site yesterday and it was great to see so many of my recommendations coming to life. 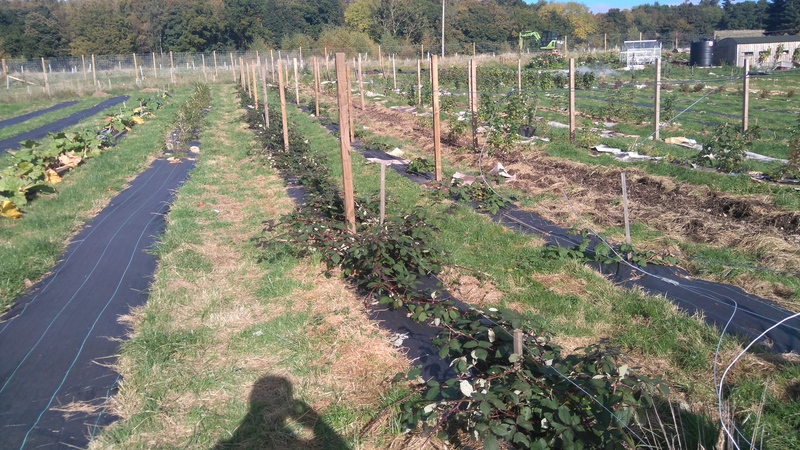 Recommendation : Provide an opportunity for a market garden to take over one of the front fields. It’s a great, south facing site, there’s no local competition and Comrie Croft have thousands of people self catering every year. 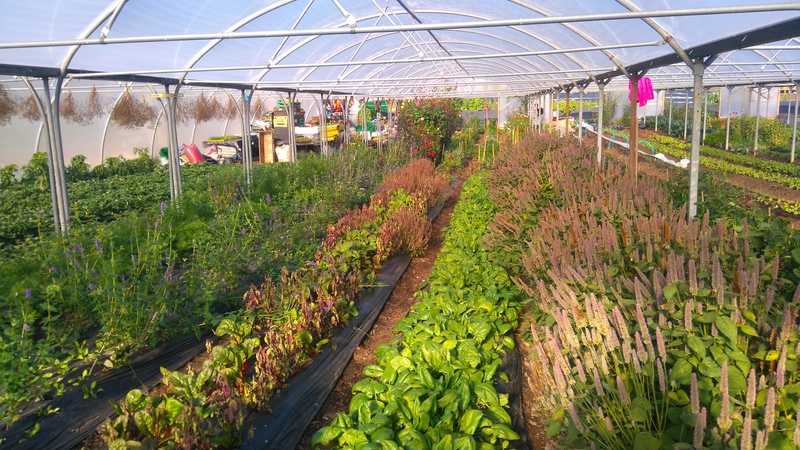 Producing food on the farm is also a great advert for Comrie Croft. 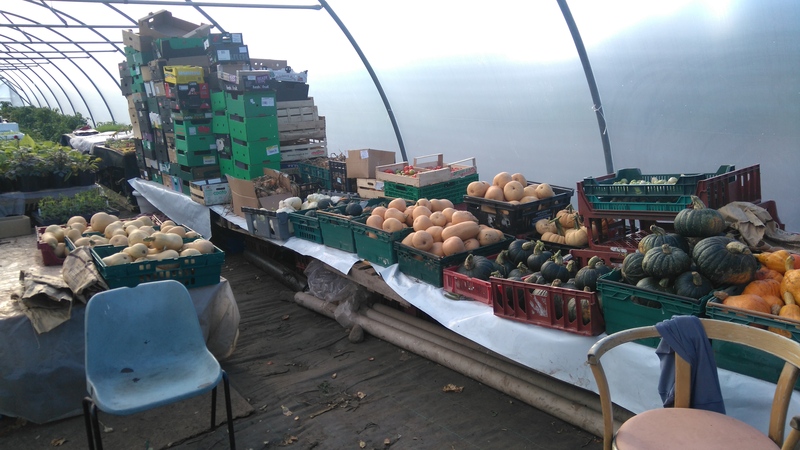 Result : The Tomnah’a Market Garden was set up in April 2016 and the team have done an extraordinary amount of work already. Lots of infrastructure has been put in and there’s already loads of veg, herbs, eggs and flowers. Recommendation : Create an obvious entrance for the site reception. Whilst doing my observations on the site I noticed a lot of new visitors struggling to find the reception with some of them giving up and going elsewhere. 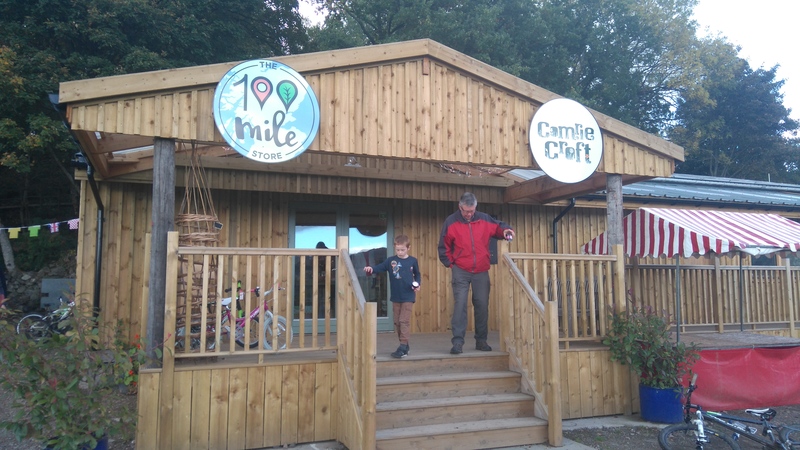 Result : A new front to the building with a very obvious entrance and new 100 mile shop which sells produce from Tomnah’a. Recommendation : Build a compost loo in the high Campsite. I noticed that it was a long trek to get from this camping area to the toilet block. 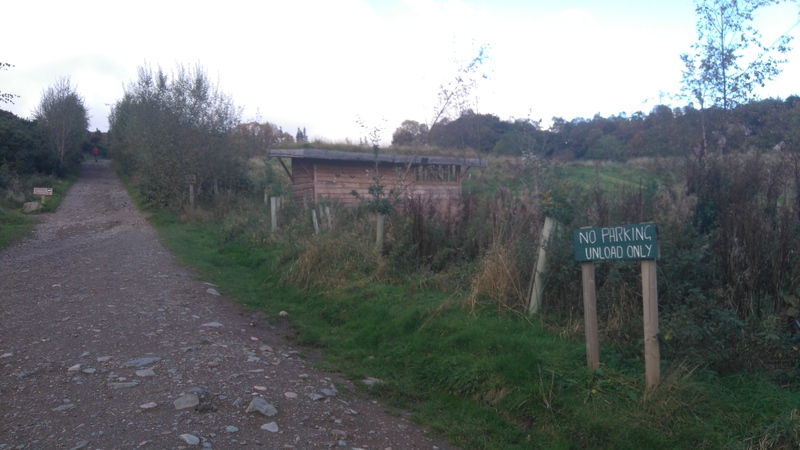 The number of existing toilet facilities were also limiting the number of people allowed on site for events. 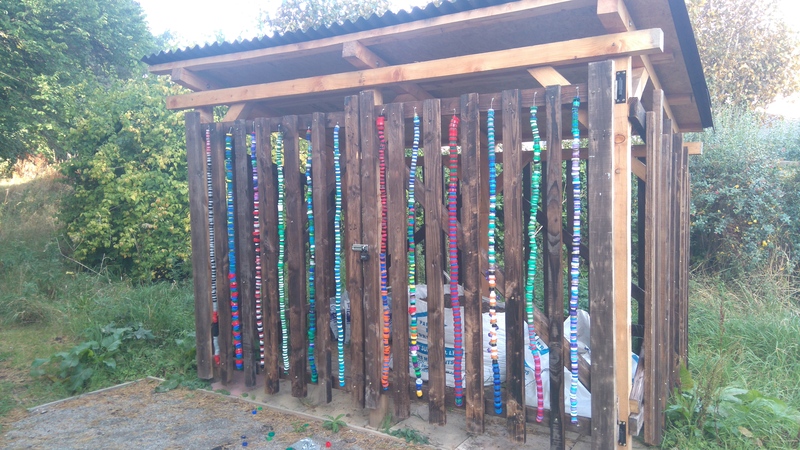 Result : A great new composting loo and washing up station! 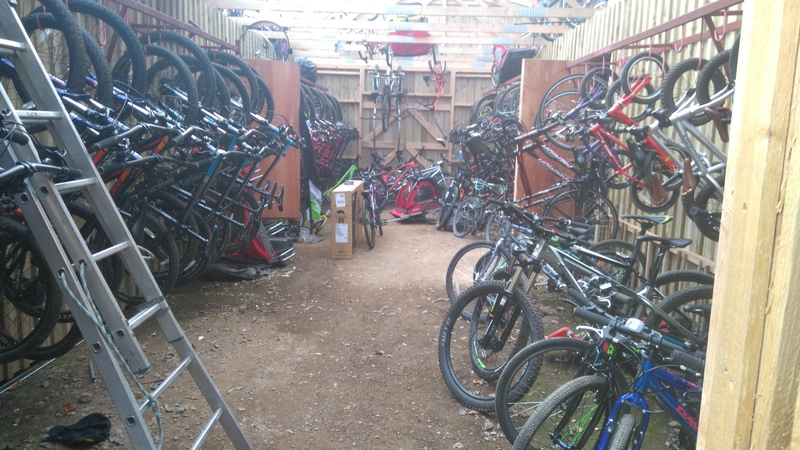 Recommendation : Move the bike shop from the steading courtyard next to the reception. They were hard to find and passing visitors could easily miss them. 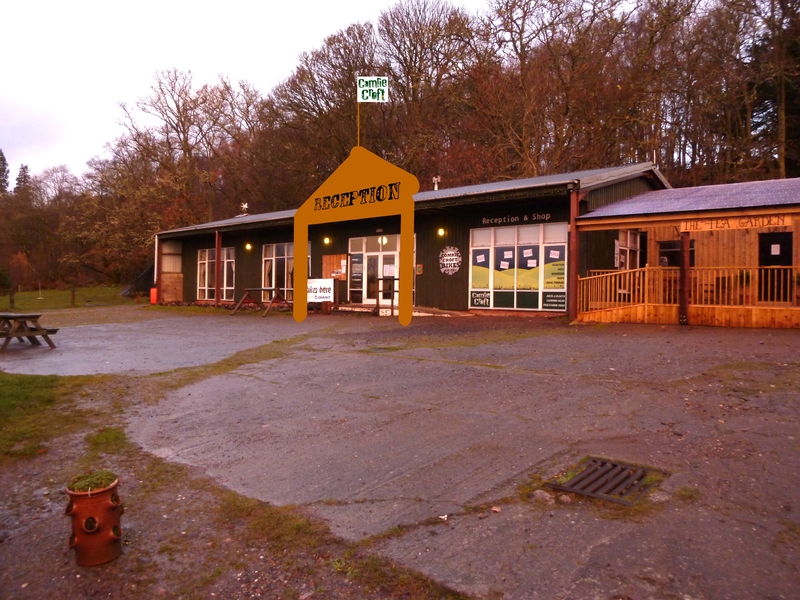 Use the stables for over-night staff accommodation or craft workshops. 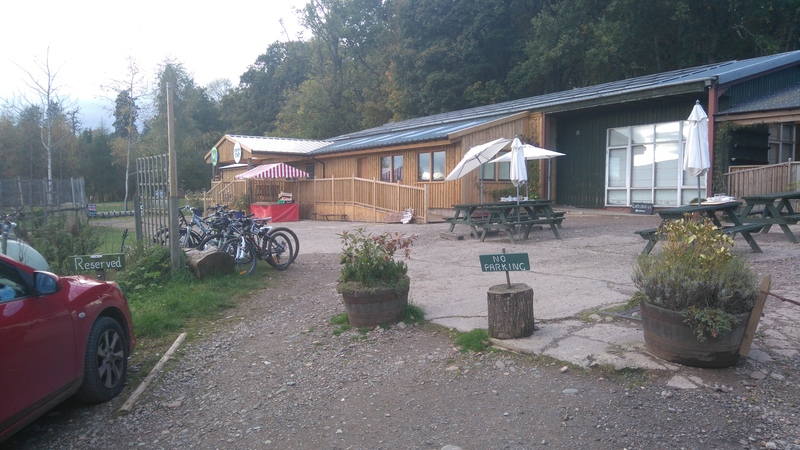 Result : The bike shops is in a much better place and the steading buildings are being used by New Caledonian Woodlands and by Comrie Croft staff. I’ve just finished this recycled building project.It’s a garden shelter to be used for woodwork and as a focal point for the garden at Milestone hospice in Oxgangs. The frame is Larch from Inzievar Community Woodland, the walls and gates are built from chunky pallets. The pallet wood was flamed and then brushed in the japanese blackened wood style. 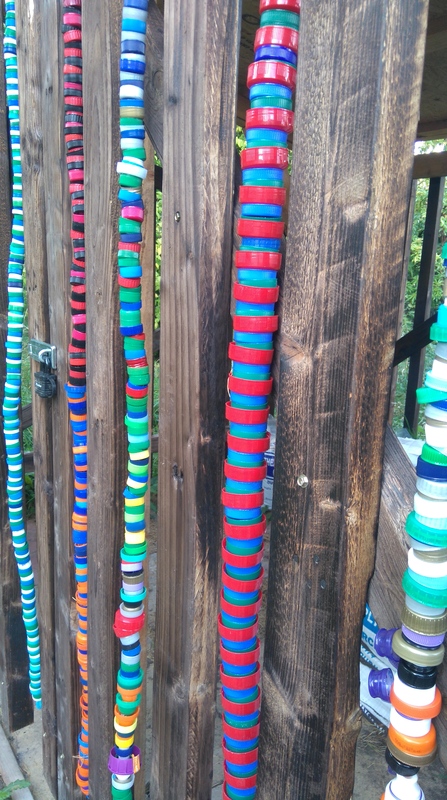 The decoration is made from bottle tops threaded onto wire by students at Firhill High School. A big thanks to Karen, Helen and all the Firhill kids.